Mega Sale! 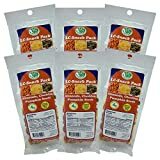 Up to 27% off on Nuts & Seeds at Smokey Robinson Foods. 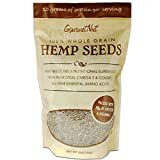 Top brands include NOW Foods, Creative Snacks, WinCrest BulkFoods, HuangFeiHong, Gourmet Nut Hemp Seeds, I'm A Nut, Protidiet, Bertie County Peanuts, Hampton Farms, LC-Foods, Food to Live, & Planters. Hurry! Limited time offers. Offers valid only while supplies last. HuangFeiHong 6 Count, Spicy Crispy Peanut, 3.38 oz. Planters Deluxe Whole Cashew, 8.5 Ounce -- 12 per case.